Description of Exchange Online Protection Service has been updated and now it contains description of all available features in EOP. The service description provides information about EOP features and their availability across the different subscription plans. In a standalone scenario EOP provides cloud-based email protection for your on-premises Exchange Server 2013 environment, legacy Exchange Server versions, or for any other on-premises SMTP email solution. As a part of Microsoft Exchange Online By default, EOP protects Exchange Online cloud-hosted mailboxes. The maximum message size for EOP standalone customers is 150 MB. This applies to inbound and outbound messages. The maximum message size for Exchange Online hosted mailboxes 25 MB. The maximum number of recipients that EOP customers can send a message to is 500. Messages in deferral will remain in our queues for 2 days. Message retry attempts are based on the error type received from the recipient’s mail system. On average, messages are retried every 5 minutes. 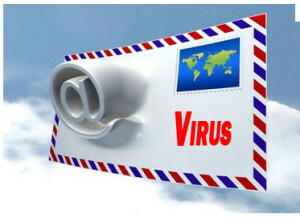 By default, spam messages sent to the quarantine are retained for 15 days. This value can be lowered via content filter policies. If enabled, end-user spam quarantine notifications are sent every 3 days. The ability to configure frequency from 1 to 15 days is targeted for delivery in the third quarter of 2013. Summary reporting data is currently available for 90 days, while detailed reporting data is currently available for 7 days. Message trace data is currently retained for 7 days. This value will be increased to 90 days in the near future.